New Delhi : Its that time of the year, when the country honours those who have devoted their lives to the service of the nation, with a series of civilian awards- the Padma awards . 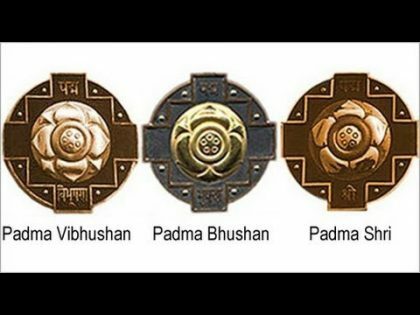 The focus of this year’s Padma awards, according to the officials in the Home Ministry, was on recognising talent of unknown and unsung heroes of the country. Shri Tehemton Udwadia– A Parsi Indian surgeon and gastroenterologist from Maharashtra, Dr Udwadia is considered by many as the father of laparoscopic surgery in India. This is not the first time he has been honoured with a Padma award. In 2006, he was awarded with a Padma Shri, in 2006, for his contributions to Indian medicine and he received the Most Excellent Order of the British Empire (OBE) from Queen Elizabeth II, the same year. Dr Bhakti Yadav– Nonogenarian Bhakti Yadav, popularly known as “Doctor Dadi” from Indore is the first woman from Indore to hold an MBBS degree. Still working at the age of 91, She has been treating patients free of cost for the past 68 years and has helped deliver thousands of babies. Dr Subroto Das– Known as the “Highway Messiah”, 51 year old doctor, Dr Subroto Das is one of the pioneers in bringing medical relief to accident victims on national highways. Das, 51, hails from Gujarat. He started the Lifeline Foundation after he met with an accident. Today, he provides emergency medical services on the highway network spanning 4,000 kilometres in Maharashtra, Kerala, Rajasthan and West Bengal. Dr Mukut Minz- An eminent PGI tranplant surgeon he has been credited with setting up a new Department of Renal Transplant Surgery at the PGI and performing over 3,300 kidney transplants, among other achievements. Dr Minz successfully established a combined kidney-pancreas transplant programme for Type 1 diabetics with kidney failure at the PGI. He recently led the medical team at AIIMS, New Delhi, that carried out the kidney transplant of Union External Affairs Minister Sushma Swaraj. Prof Harkishen Singh- Professor Emeritus at the PU, 89-year-old Prof Harkishen Singh, a prominent medicinal chemist and a scientist, is a renowned personality in the pharmacy industry. He is credited with a rarest accomplishments in India, that is ,discovery of a clinically useful drug, Chandonium Iodide (HS-310), which was later named by the World Health Organisation (WHO) as Candocuronium Iodide. Candocuronium is the only drug discovered by any Indian University till date. Dr Devendra Dayabhai Patel– An 84 year old renowned cancer specialist from Ahmadabad, Dr Patel has been treating cancer patients for more than 50 years and is not a stranger to awards and laurels being bestowed upon him. He is considered to be among the best surgical oncologists in the country. Prof Madan Madhav Godbole-Dr Madan Madhav Godbole, professor at Sanjay Gandhi Post Graduate Institute of Medical Sciences molecular medicine department, is the man who literally gave Indians Iodised salt. In 1980s, he undertook several research works to study the impact of iodine deficiency on human health. The work led to policy change including National Goitre Control Programme and paved way for inclusion of iodised salt in everyday food . Dr Mohammed Abdul Waheed– Dr Mohammed Abdul Waheed is a dermatology specialist in Hyderabad with an experience of 25 years. He is renowned for his decades of clinical experience in the management of vitiligo and published research papers on genetic studies in vitiligo. Dr Suniti Solomon (Posthumous)– Dr Suniti Solomon, who diagnosed the first AIDS case in India in 1985, has figured in the Padma Shri list posthumously. Dr Suniti Solomon was instrumental in driving a nation-wide discussion on the subject, through her experience from biomedical to the socio economic range on HIV/AIDS. Her foremost initiative was the document on the first evidence of HIV infection in India in 1986 which brought the required attention to the then emerging epidemic. Padma Awards to honour unsung heroes of healthcare is a good reform by the present government. Till now, it was more a measure of political & bureaucratic connection rather than excellence,baring few exceptions. Awards and honours should by for real ground workers and not for political links. political patronge should end. SALUTES TO THESE REAL HEROES OF MEDICAL SCIENCES. Indeed they are inspiration to the community.